A ParentPortal Account is required to use the InTouch system. ParentPortal will not reopen until September. To pay student fees and for other items without a ParentPortal account, you will need to contact the school or program when the buildings reopen. Mustang Public Schools is rolling out a new online payment program that will simplify paying for students fees, fundraisers, donations, field trips, Bronco Club and more. The program will first be offered to parents of high school students. All other sites will begin accepting online payments Aug. 10. 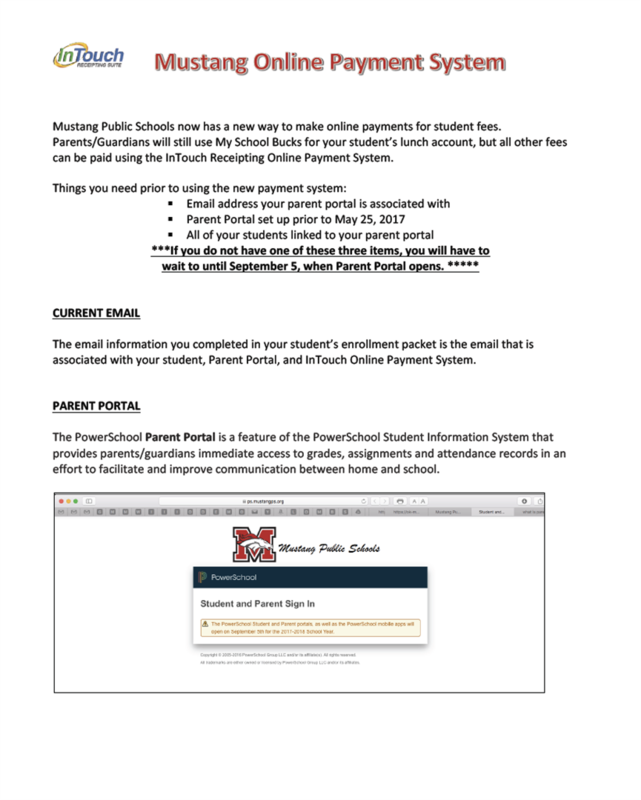 In order for a parent to use the new InTouch system for online payments, parents must already have an account set up in Parent Portal. Through Parent Portal, parents can view their child’s attendance, grades and more. For parents with an existing Parent Portal account, go to ok-mustang.intouchreceipting.com and follow the directions on the screen. If a student has outstanding obligations, such as a lost textbook, those must be paid first. Once obligations (if any) are taken care of, parents will be able to select from a list of options including paying for class fees, parking permits, yearbooks, agendas, BroncoClub and more. Kris Green, Federal Programs and BroncoClub director, believes the new system will be a benefit to parents and the district. For parents who do not have their account set up in parent portal, the portal will be open Sept. 5. Until an account is created, parents without access to Parent Portal must pay at their child’s school site by cash, check or credit/debit card. After Parent Portal opens, parents can stop by their child’s school with a photo ID to receive their Parent Portal username and password. They will then have access to their child’s grades and attendance as well as the InTouch payment system. Green said there is only one area that won’t use InTouch. Click here to download step-by-step instructions. 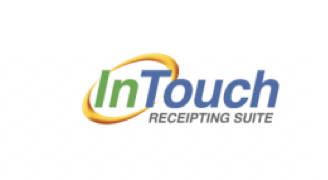 intouchsupport@mustangps.org - Monday-Friday between the hours of 8 a.m. - 4:30 p.m.
Or click here to be taken directly to the InTouch login screen.